A new update for the originally worked in various aspects and also goes well with this Halloween night. 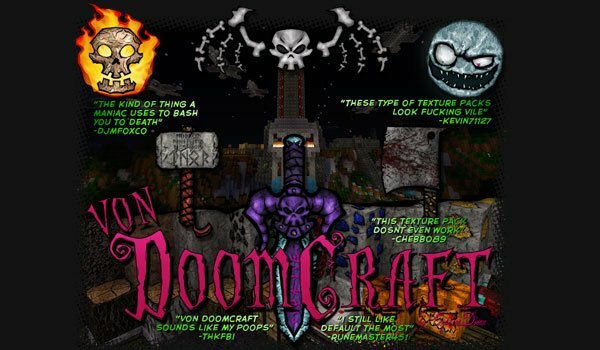 vonDoomCraft 1.6.2, is a high definition package that also adds textures for Silverfish for this new update, creating seven variants aesthetic for them or four for the skeletons of new version 1.6.2. ¿How to install vonDoomCraft Texture Pack for Minecraft 1.6.2? Paste the download file into: “resourcepacks”.